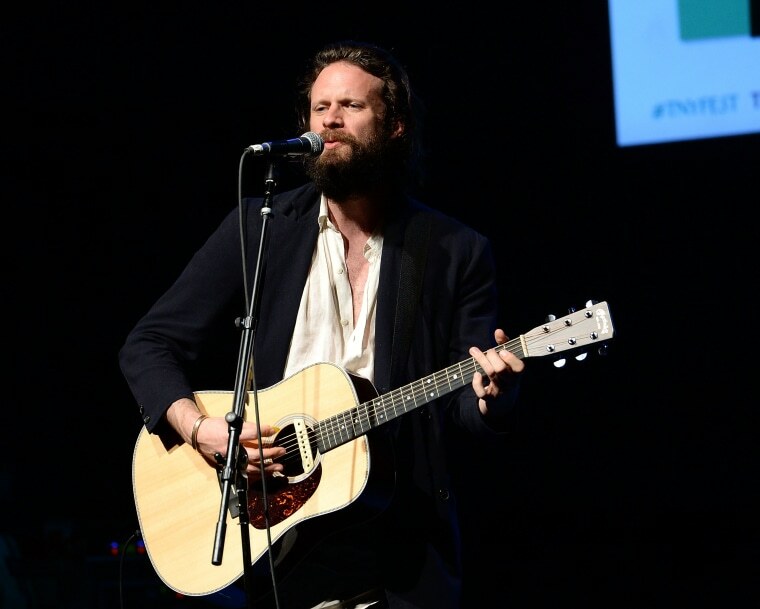 Father John Misty's 2017 album Pure Comedy won a Grammy for Best Album Package on Sunday, but he didn't get to deliver an acceptance speech until Wednesday. As Spin reports, the artist took a moment during a show in Sydney, Australia to thank the Recording Academy, and also spread some important truth. FlatEarth.com isn't a real website — yet — but the crowd seemed to take the ironic message in stride. Tilman went on to joke that his new Grammy, which awards album art and design, also helped him to overcome a principle enforced on him by his parents and teachers growing up. "Everybody was always saying that, like, it’s what’s on the inside that matters, you know," he told the crowd, "and I think that this is really evidence of the fact that it’s what’s outside that matters."